In a recent study done by researchers in Europe, results showed lack of sleep as a predictor of low back pain (Elfering, 2018). The researchers promoted health initiatives aimed at improving quality of sleep to decrease the likelihood of developing low back pain and burnout symptoms. Your back isn’t the only thing that sleep can affect. Sleep is such an important aspect of your well-being. If you’re getting less than 7 hours of sleep on a regular basis and you lack focus, energy, and have appetite problems, improving the quality of your sleep should be paramount to any other aspect of your health. 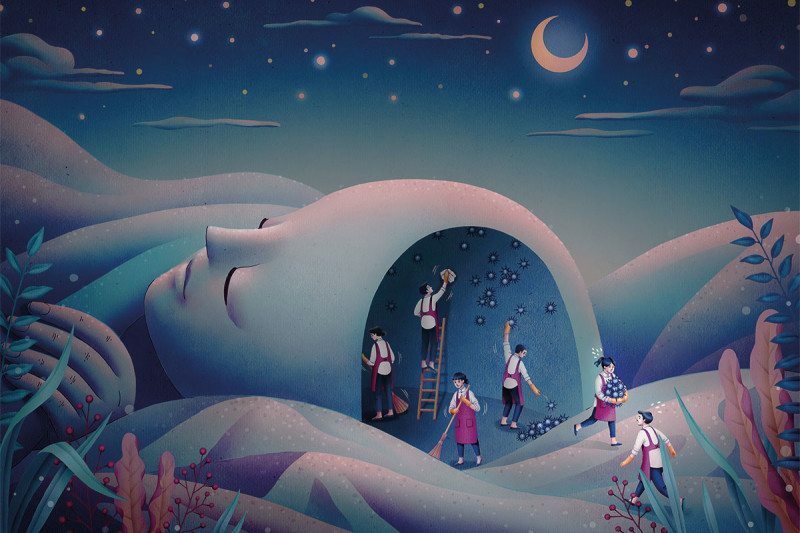 Research on sleep and sleep deprivation is abundant, and the results are objective. Chronic sleep deprivation has been shown to increase appetite and caloric levels, increase levels of pro-inflammatory markers, decrease parasympathetic and increase sympathetic tone, increase blood pressure, increase cortisol levels, reduce the volume of the temporal lobe in the brain, and increase insulin levels (McEwen, 2014). By getting your sleep in order, you could theoretically get leaner, decrease pain, improve your healing and digestion, lower your stress and blood pressure, and keep your brain from shrinking. That almost sounds like a panacea for optimal health. No wonder the 2017 Nobel Prize in physiology and medicine went to researchers studying circadian rhythms. Now we know the detrimental effects of chronic sleep deprivation, so the next question is why we aren’t sleeping enough and what’s impairing our quality of sleep? Exposure to artificial light has shown to be detrimental to sleep quality. Street lights, our phones, TVs, and computers are all contributing to our poor sleep. Almost all of the cells in your body are light-sensitive, so every time you check your Instagram before bed, you suppress the production of melatonin, a hormone that regulates sleep and wakefulness. Another factor affecting sleep is temperature. According to Sleep.org, the optimal temperature for sleep is somewhere between 60 and 67 degrees Fahrenheit. Opening a window in your bedroom will regulate the temperature even better because of the natural cooling of the environment during the night. There are many substances that can alter sleep such as caffeine and alcohol. Limiting these can be helpful for attaining more restful sleep. Medications can also alter sleep-wake cycles so doing a bit of research and asking your doctor about your medication could be worthwhile. For a summary of simple sleep tips, see the infographic below.